Fennel is an aromatic plant, member of The Apiaceous or Umbelliferae family. Its leaves resemble feathers and it has got yellow flowers. You can find fennel plant near seas and rivers. Mediterranean area is rich with fennel. Fennel is very useful plant for people. It is said that it can rejuvenate skin and improve vision. If you plan to reduce weight fennel can help you. It stimulates milk production in lactating women. However, it is dangerous to exaggerate with usage of fennel since it can cause hallucinations and seizure of muscles when overdosed. 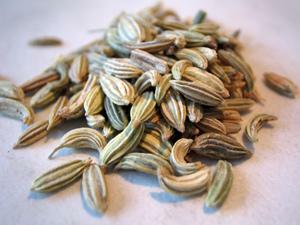 Fennel tea can be used to get rid of stomach problems such as indigestion, flatulence, stomach cramps and bloating. If your baby suffers from colic fennel tea can solve it. Prepare a fennel tea and leave it to chill. Add a teaspoon of sodium bicarbonate and a little bit of agave syrup to strengthen the effect. Fennel tea acts as diuretic. It cleanses our kidneys. It eliminates excessive water from the body and therefore helps us detoxify. Fennel is an excellent source of vitamin C, vitamin B3, iron, magnesium, calcium, manganese, potassium. It contains numerous fibers important for our gastrointestinal tract. Fennel has anti-bacterial properties. It is great antioxidant. It boosts our immunity system and helps us get rid of free radicals. Fennel supports our cardiovascular system by reducing LDL cholesterol in blood. Being rich in potassium it can lover high blood pressure and therefore prevent heart attacks and strokes. Fibers from fennel purify our bowels and keep them free of toxins. Therefore fennel is the best prevention of intestinal cancer. Fennel can suppress appetite in a natural way. Therefore if you are thin it will not affect you but if wanting to lose weight it will help you a great deal. You can roast fennel. When fennel is consumed like that it can relieve stomach disorders such as gases, too much stomach acid etc. Generally it is used to sort out indigestion. People often make fennel oil. This oil will calm itchy insect bites. It can even treat a snake bite. Fennel is great for respiratory tract. It relieves sore throat. It can remove blockage of nose and sinuses. Fennel plant has antispasmodic properties. It relaxes muscles and uterus. It has a compound that can act as phytoestrogen in the organism. Women with irregular menstrual cycles can benefit when using fennel. It stimulates milk production among breastfeeding mothers. If combined with other herbs fennel is able to balance female hormones. Since it has anti-inflammatory and soothing properties it can be used to treat rheum. How does a body reacts on vitamin overdose? What Importance of Fiber in Hemroids Prevention?